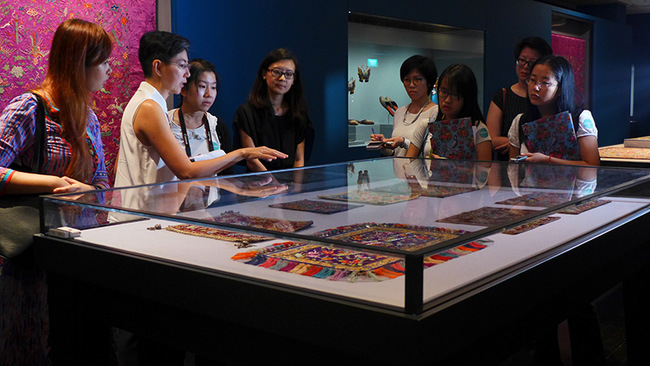 Peranakan Museum presents Nyonya Needlework: Embroidery and Beadwork in the Peranakan World. Celebrate one of the most vibrant cultures in Singapore at the Peranakan Museum from now till March next year. The exhibition will showcase the traditional Peranakan art of embroidery and beadwork, giving visitors an in-depth look into the intricate craft of gold threads and silk. The show is divided into five sections, ranging from auspicious emblems and symbols, creative hands: makers and methods, to the diverse styles of Indonesia, Malacca, Singapore and Penang. One of the key highlights is the beaded wedding valence dating back to 1848 in Indonesia, which shows early influence and adaptation from Chinese embroidery. Those wanting a more immersive experience can look forward to Straits Family Sunday: All Sewed Up where you can make your very own Peranakan accessory or go for Peranakan Beadwork with Raymond Wong to take your first step into this intricate craft (S$50/session). PAssionArts Festival 2016 presents over 160 large-scale art pieces co-created by 30,000 residents. 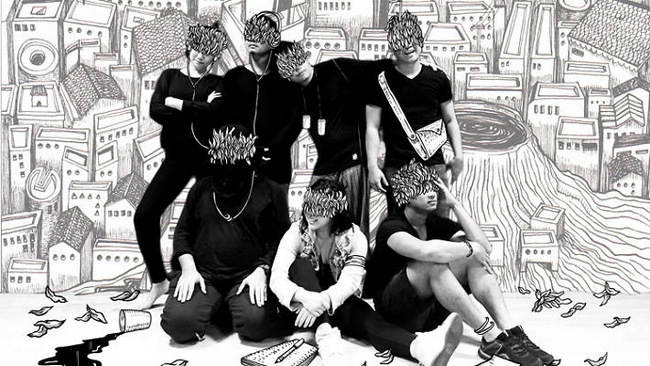 Celebrating the best of Singapore, this year’s PAssionArts Festival has 30,000 residents of different ages, races and backgrounds co-creating 160 pieces of large-scale art. 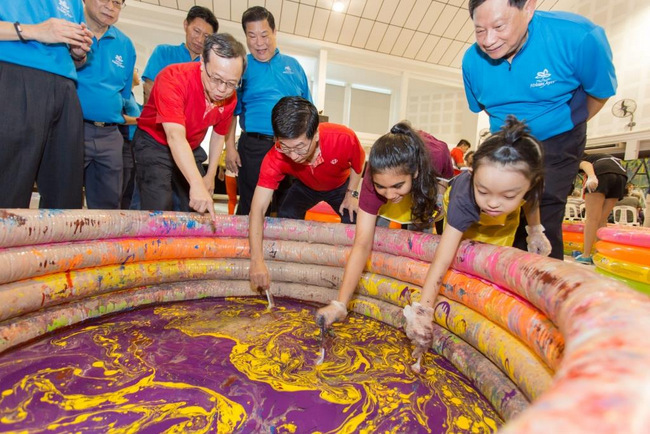 They will be displayed on the external wall facades of HDB blocks and six private condominiums across the island, adding a whole lot of colour and joy to our garden city – just in time for National Day! And, all month long, there will be tons of activities, including silent disco, art trails and singing festivals for young and old. Check out their schedule and get updated on their Facebook page. Art Apart Fair returns for their 8th edition, with a special focus on merging art with our living space. Art Apart Fair returns for its 8th edition with a special focus – how art merges and mingles with our living space. 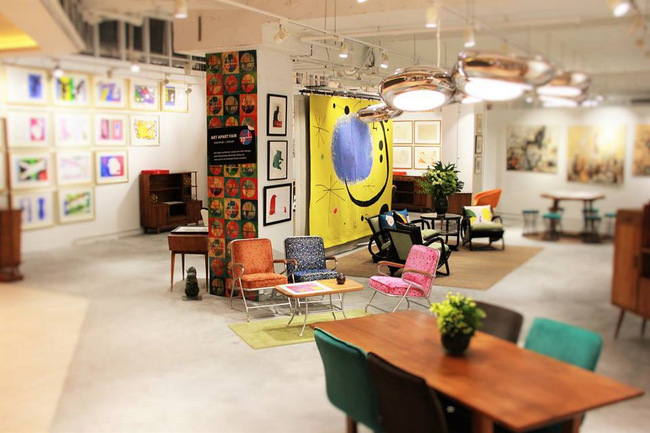 It will transform Isetan Wisma Atria into an art lovers eclectic dreamscape, welcoming both casual enthusiasts and serious collectors to interact with the enchanting interior. There will also be talks, workshops, tours such as Collecting Vintage Furniture by Anita Sam for those wanting to add a little old school charm to their homes or Creating Flowers & Wine Gift by William Seah and Dan Takeda to really impress your special someone. Auctions will also be held for those want to bring home a piece of the pie. All the details, including date and time are on their Facebook. ACM launches world’s first exhibition on the history and spread of Christian art in Asia. 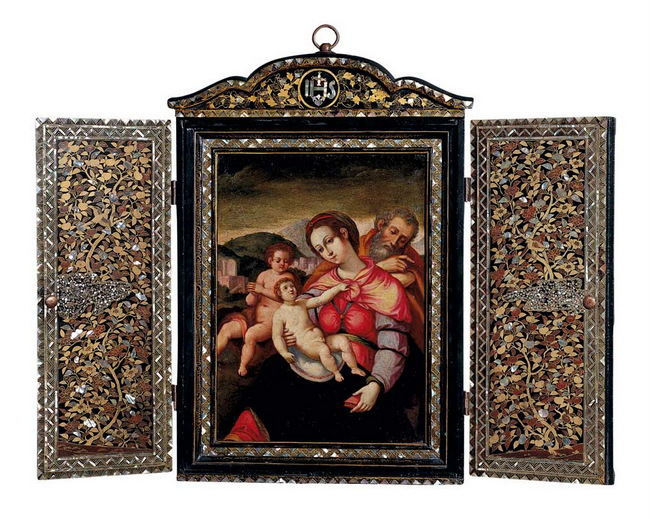 Artworks include Shrine with a painting of Holy Family with John the Baptist. For the first time worldwide, ACM presents a special exhibition on the history and spread of Christian art in Asia. The exhibition looks at art spanning across 800 years from the 13th to the 20th century, where Asian art blends European Christian subjects with local motifs and patterns or is made with distinctive local materials. It will be quite a treat! There are over 150 objects from six countries (including Singapore) and 20 acclaimed institutions and private collections on display. All will be complimented by ACM’s already rich collection, including the largest known Sri Lankan ivory sculpture of the Virgin. Those wanting an in-depth experience can go for the Christianity in Asia Curator Tour. They will be held on 26 August and 9 September 2016, from 7:30 PM to 8:30 PM at S$25 per session. Alfredo & Isabel Aquilizan, Passage III Project Another Country, 2009. 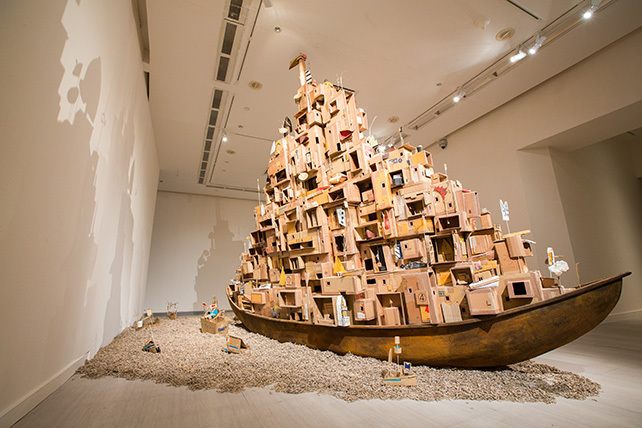 Embark on an artistic exploration of the ocean as seen through the eyes of contemporary artists at SAM. The exhibition will present artworks by 11 artists from Southeast Asia and beyond, along with a Research Room featuring loans from the Republic of Singapore Navy Museum. Accompanying the show will be artist and curated tours and workshops conducted by the Republic of Singapore Navy. Club Malam is back with The O.P.E.N. Inspired by Singapore’s night scenes of the 1940s and 1950s, the event invites all to an unabashedly leap forward into an imagined space and time for a night of freedom and adventure. Highlights include Speak Cryptic’s The Tribe, performances by Senyawa, installations by Julius Von Bismarck and more. Find out more at their official site. Future World: Where Art Meets Science presents a series of talks and activities for the young and old. 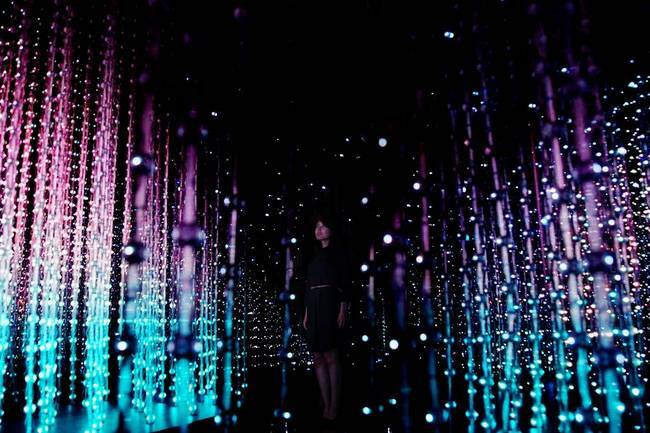 ArtScience Museum’s popular permanent exhibition welcomes July with a string of talks and activities for the young and old. Starting from 9 July, Saturdays will play host to interactive plays at various zones along with Creative Aquarium and Drop-In Paper Craft in the Rainbow Room for the whole family to explore their artistic side. Check out their programme schedule here. Add a little bling to your bathrooms with your very own soap gems – Van Cleef & Arpels inspired, at that! Happening every Friday from 8 July onwards, visitors can learn about different cuts of the gemstones while making their unique three-dimensional soap gem. Anima Mundi, directed by Godfrey Reggio. Immerse in the beauty of nature with two cinematic homages to Mother Earth with ArtScience On Screen. The screening starts off with Academy Award nominated Whale Rider by Niki Caro, which tells the moving story of a young Māori girl who challenges tradition and embraces nature in order to find the strength to lead her people forward. It shares the same space with Anima Mundi by Godfrey Reggio, which alternates with the former starting from 8 July 2016. 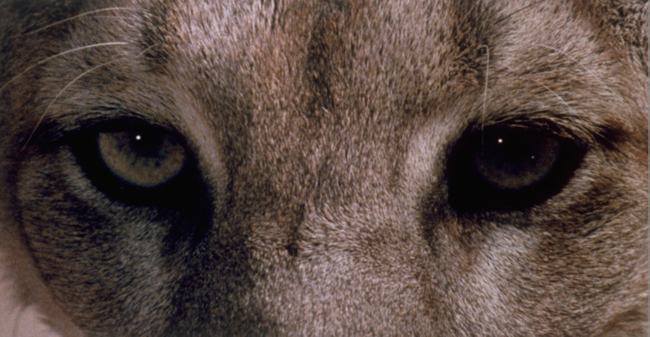 In this short documentary, Godfrey pays homage to the boundless variety of species, systems and elements that form this spectacular and harmonious whole we know today.